Amanda contacted me in need of a photographer for her wedding that was just a month away! I’m so grateful that I was available for their special day! Amanda & Steven were both so welcoming when I arrived. Their love and devotion to each other was very apparent as they stood at the altar. It was wonderful to share in their special day, alongside family and friends. Thank you so much for giving me the opportunity to capture your beautiful love story! How did you and your fiance meet? Online! Steve was living in Indiana, looking to move back to Florida. Amanda was living in Florida. We met for first time about 2 months into relationship and then Steve made the permanent move down to Florida about 9 months later. How long were you and your fiance together & what was the length of your engagement? We’ve been together a little over two years, and have been engaged since December 2016. How did you know that he/she was THE ONE for you? Outlook on love and life, sense of humor, core values – they all increased our attraction to each other. And then, the ease of being with one another, truly seeing each other as future partners, living together, building a life and home together – love beyond words. He proposed down by the water near the marina in our favorite city in the world, St. Petersburg, one of the first places we went to after the big move! Describe your wedding day style in one sentence. More extensive than envisioned for a “small, intimate wedding”. 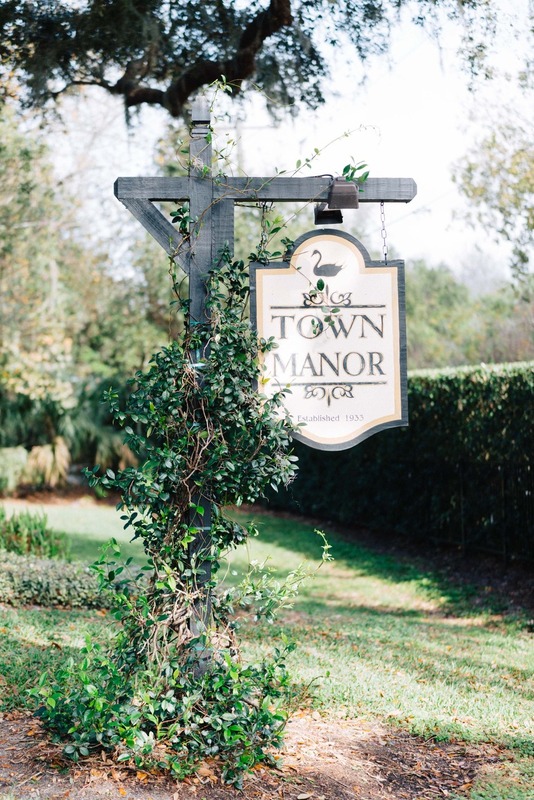 But Nandy and Town Manor have help tremendously in planning, setting us up with vendors, and guiding us through the whole process, all in under 45 days! 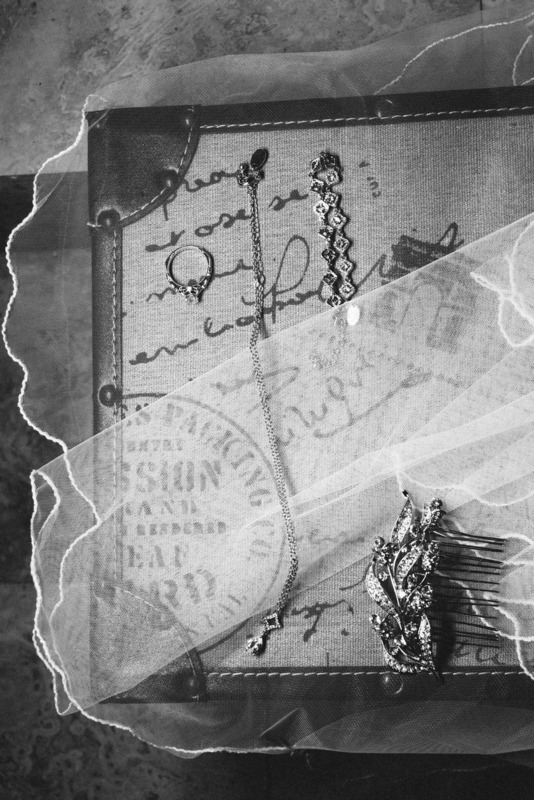 Tips you could pass on to other brides in the planning process? It is easy to get swept up in the circus of wedding planning – always take a couple steps back and refocus on what is really important – just the two of you. Your love and joining in marriage. Nothing else matters. Meeting with Nandy for the first time and touring Town Manor – definitely a magical moment, like ahhhh we have found the place! If you love these pictures, and would like for Penelope Anne Photography to capture your big day, please contact us at penelopeannephoto@gmail.com. What can I say about Rochelle & Mario? That they very quickly became more than my clients. Rochelle reached out to me about photographing her wedding after a previous bride of mine referred her. Every time I spoke to her on the phone, it was like instant chemistry. We finally met in person the day of their engagement session. Let’s just say that Rochelle & Mario are like our perfect couple match (if that’s a thing). Mario is a SWAT Officer, so he and my Firefighter husband instantly hit it off. We met through my fiancé’s mom. God placed that in my heart and showed me that he is the one. He is everything and more I could ever want in a husband. He surprised me and proposed at our favorite restaurant; caffe violetto. My best friend tia has been a huge help!! Carissa and Jesus were engaged last year, and decided to have their big wedding at The Florida Aquarium in Tampa Florida. I was very excited when they told me the location, because I have never photographed a Florida Aquarium Wedding before. It’s definitely the most unique venue I’ve been to for a wedding, and everyone that attended really enjoyed the aquatic scenery. My husband and I were extra excited about photographing Jesus & Carissa’s wedding, because Jesus is actually a dear friend of ours. He even attended our very own wedding five years ago, so it was pretty awesome attending his. Jesus & Carissa decided to have a first look before the actual ceremony. I was psyched about that because I love a good first look! We did the first look in this pretty cool section of the Aquarium called “The Wetlands”. It’s looks like a giant green house because the ceiling is glass, and you get a clear sight of the beautiful blue skies. As expected, the first look was emotional and heart warming. 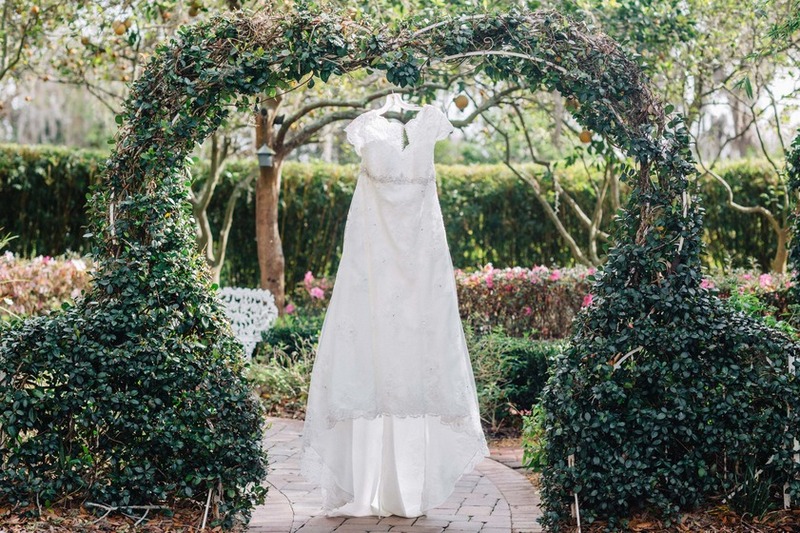 Jesus was bright eyed when he turned around to see his gorgeous bride to be! After the first look, we got the whole bridal party together to do some fun bridal party portraits! Everyone was in great spirits and really excited for the day ahead! Paul and I then grabbed our car and stole the bride and groom for some intimate bridal portraits! I really love it when our couples trust us and just let us get creative. They were honestly down for anything! It was finally time for the ceremony so we headed back to the Aquarium to get ready. Carissa beamed as she walked down the aisle! It was a beautiful ceremony, followed by a fun filled reception. It was such a beautiful wedding, and we are so happy to have been apart of it. Congratulations to you both! Special Shout to The Cake Zone for creating such a unique and gorgeous wedding cake!